Item number 2787/30 from the MOA: University of British Columbia. 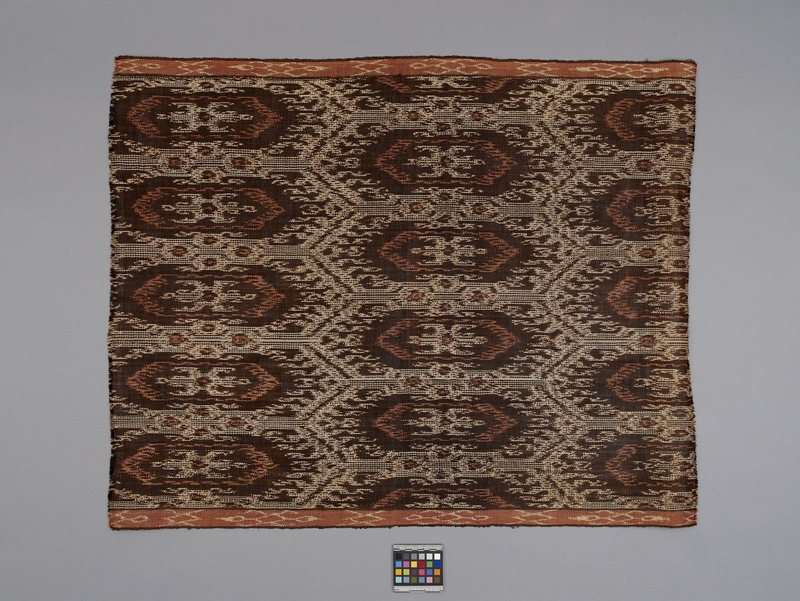 Cloth woven from abaca fibres (musa textile) has a warp ikat decorative technique in dark brown, beige and reddish natural dye colors. The two ends have been left unfinished with a short fringe. 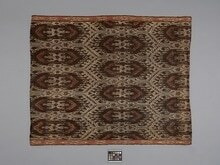 Ceremonial cloth or sitting mat.